Grilling Season!!! 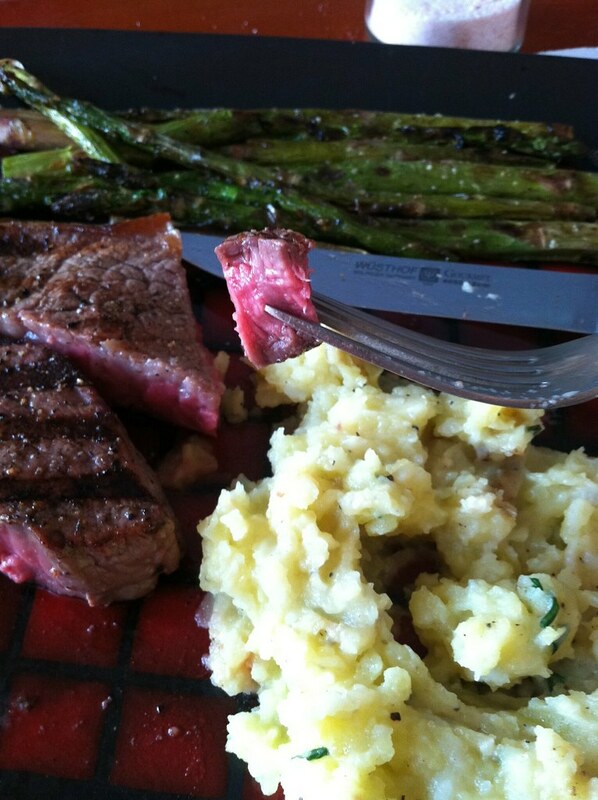 steak with CSA asparagus and mashed taters – ugly food tastes better. Another not-recipe post, just a CSA showcase. I was so beside myself excited to get asparagus, and the yellow and white potatoes we got smashed up perfectly with some freshly harvested tarragon, garlic, salt, pepper and butter! Delicious and such a beautiful day for a terrace meal. I grilled the steak and asparagus (the ENTIRE bunch, as I could not help myself) with some fresh ground salt and pepper, and am a happy, happy girl. In a meat coma. Can you beat a good steak with perfect sides? I don’t think so. 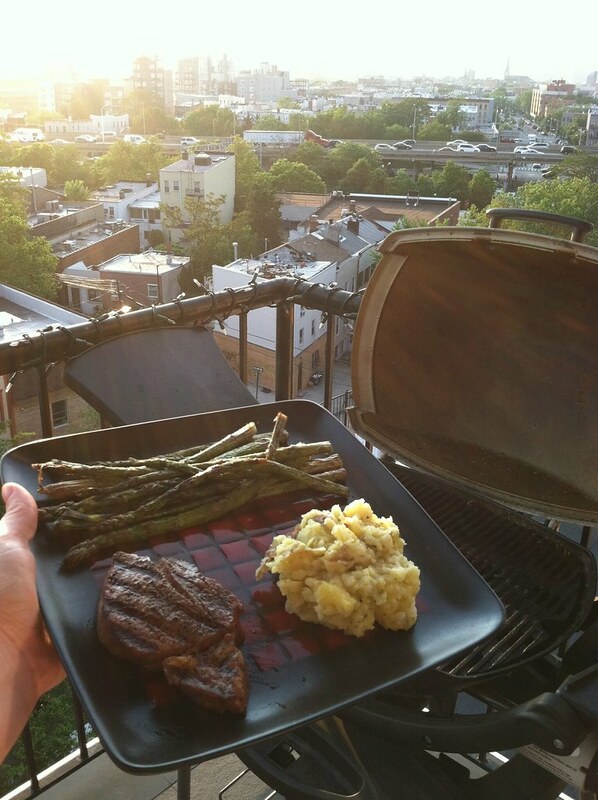 I LOVE my asparagus grilled…simply delicious! Come link up and share your goodness with the group 🙂 http://inherchucks.com/2012/05/16/whats-in-the-box-26/. Love grilled asparagus too but I fear our season is over. Grilled asparagus! Yummy! I wish I had an outdoor grill. One day!